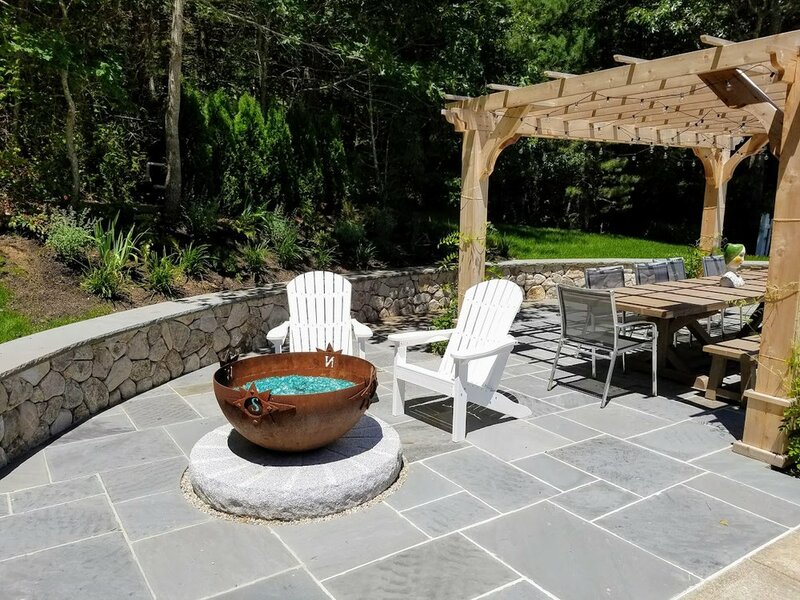 This design/install project focused on the creation of an outdoor living space that included a patio, grilling station, pergola and outdoor gas firepit. 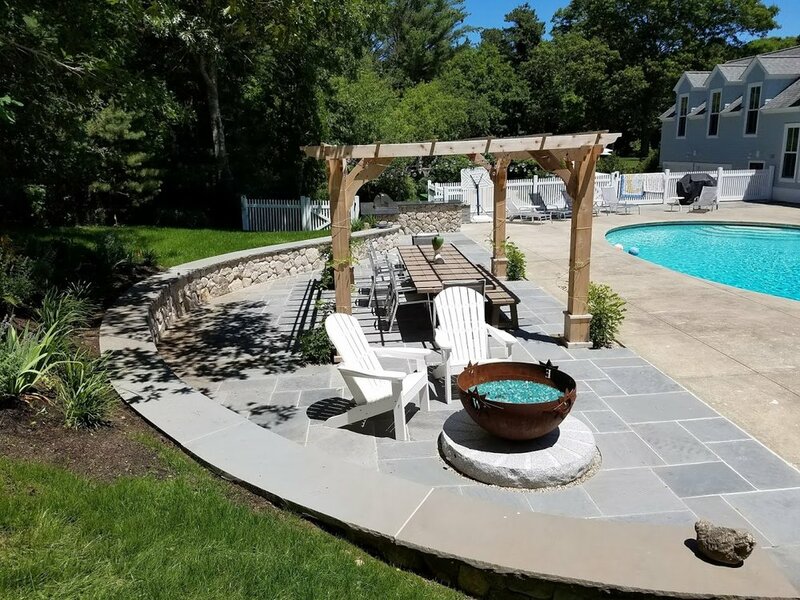 The installation increased the footprint of the existing pool deck while taking advantage of the views of the Marstons Mills River and surrounding environs. 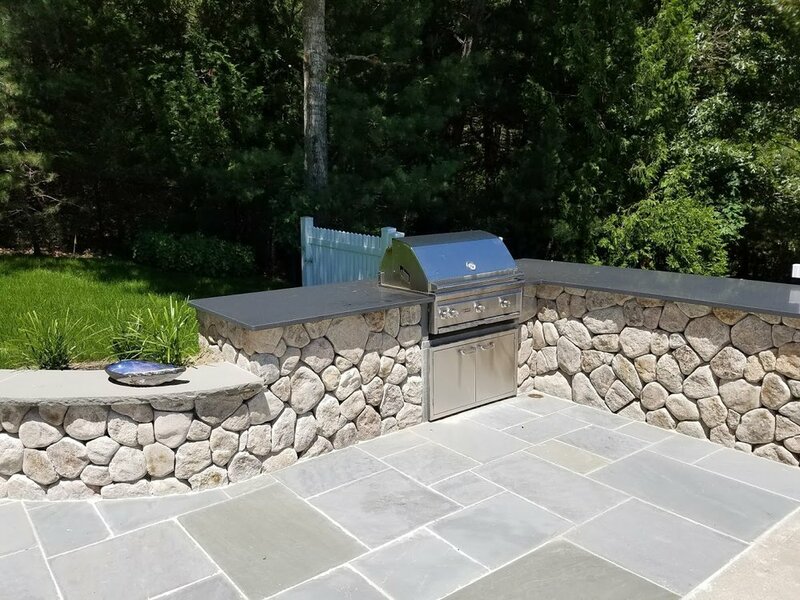 A bluestone patio, native fieldstone wall w/bluestone cap, cedar pergola, built in gas grill and a custom gas fireplace were installed to create a stunning space. 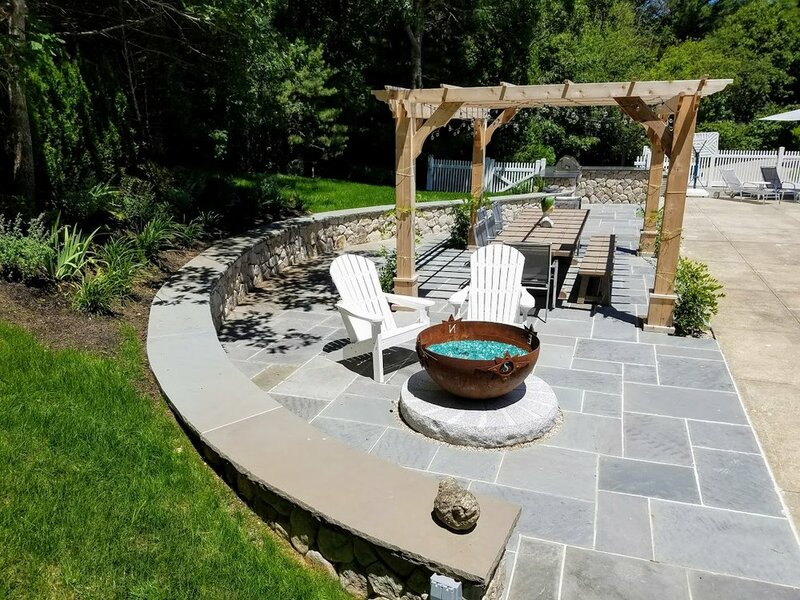 Hardscape completed by Earth & Stone LLC.